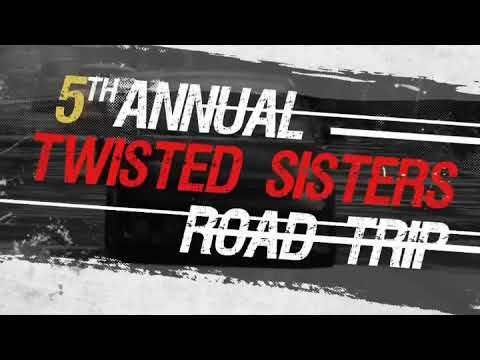 Join us for the 5th Annual Texas Twisted Sisters Fiat Road Trip for 2019, brought to you by NGEN Customs & Performance! Grab your keys and fire up your Fiat as we get ready to blast through the Texas Hill Country on this epic drive of the "Twisted Sisters". This is a 2 day event of grand proportions with beautiful scenery, lots of twists and turns, awesome prizes, delicious food and great company! This is an amazing opportunity to put your Fiat to the test! Registration will open January 1, 2019! PLEASE NOTE: We have decided to move the event to April instead of June. The reason for this is due to the intense heat that is not only hard on the cars but can also be unpleasant with the attendees! Weather for April in Kerrville, TX is typically in the mid 70s to low 80s and the chance of rain is the same as it is in June per weather patterns from previous years (stats provided by timeanddate.com/weather for the last week of April of 2015-2018) . 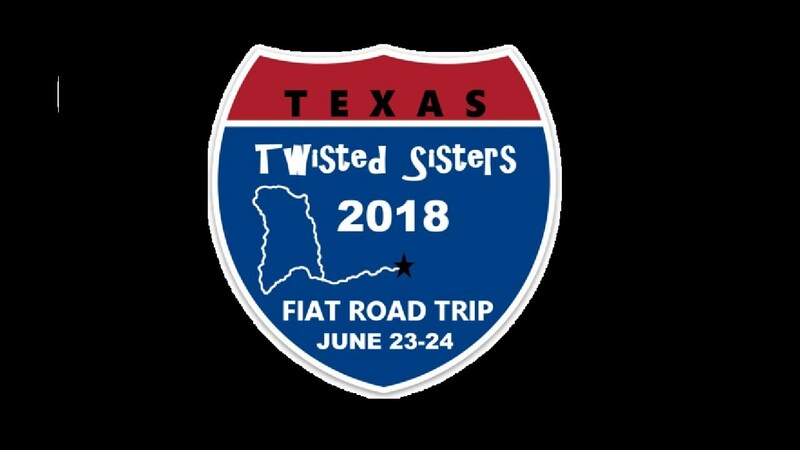 Join us for the 5th Annual Texas Twisted Sisters Fiat Road Trip! Grab your keys and fire up your Fiat as we get ready to blast through the Texas Hill Country on this epic drive of the "Twisted Sisters". This is a 2 day event of grand proportions with beautiful scenery, lots of twists and turns, delicious food and great company. This is an amazing opportunity to put your Fiat to the test! Registration is NOW OPEN through March 31, 2019. Last edited by NGEN; 01-02-2019, 03:35 PM. I'm moving out to central Texas at the end of next month, so I just signed up a spot for myself and my copilot. I've never participated in a car event before (group drives, cars & coffee, etc) and I'm not huge on socializing, but this will be a new experience and I'm pretty excited that my first event will be a multi-day thing and I'll get to meet some people in the actual community (even if I'm a wallflower). P.S. I didn't know if there were women's shirts available (probably low demand? ), so I selected one in my copilot's size instead. Last edited by VisualKei; 01-31-2019, 08:29 PM. Next purchase: Koni yellows, Vogtland springs. One of the things I love about this event is that you can be as social (or not) as you want. Even with the driving you can pick your pace, from hair on fire to enjoying the scenery. I'm looking forward to the event this year. This is the best event of the year. I can't wait. Last edited by NGEN; 02-08-2019, 12:35 PM. This weekend we have a BIG ANNOUNCEMENT! Cant wait - what Chris wont be there? we have had Toby and Greg and it looks like Greg again this year. Time to start PM'ing him! 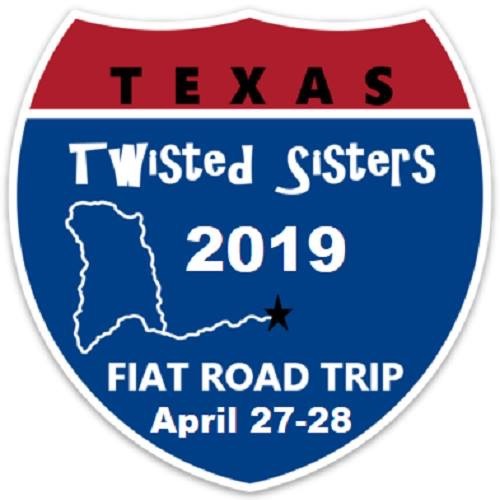 The Official 2019 Texas Twisted Sisters Fiat Road Trip Co-Sponsors and Raffle Prizes Announcement! Over $5,700 in prizes! Thank you to all of our Co-Sponsors for making this another amazing event! If you haven't registered for the event, NOW IS THE TIME! You must register no later then March 31, 2019! You can also purchase up to $200 in additional raffle tickets either on our website or at the event. You can win up to 2 prizes at the event. Awesome!! Cant wait to get lucky and win something! Can I bring my boat along? It's a lot more forgiving on the long drive out there. Offering IT Infrastructure consulting, implementation, and support for all your IT needs. Deadline to register is March 31st! You don’t want to miss out! We are showing record turn out for this year and the prizes are insane! Join us for one of the most fun weekends you can have with your Fiat! There will be no late registration this year so make sure you sign up by March 31!